It's been another rough weekend, so why not think about the happy things in life? We've already done the saddest cars ever built, but that can be so morose. Let's be cheerful, with the happiest looking cars ever made. 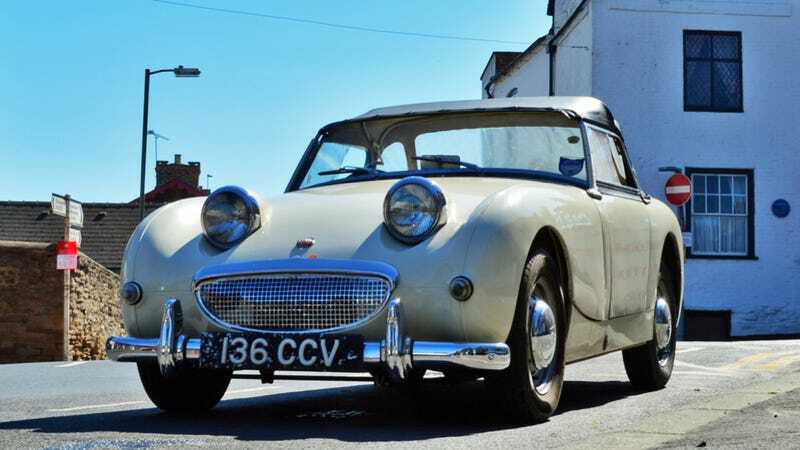 The Austin-Healey Sprite is just such a relentlessly joyful little car. What makes them even better is that over 100,000 were made, and somehow many of them are still on the roads. Plus there is absolutely no way to feel down after looking at that dopey little punim. What do you think is the happiest looking car ever made? Show us below in the comments!